How many total pounds do the hippos weigh? 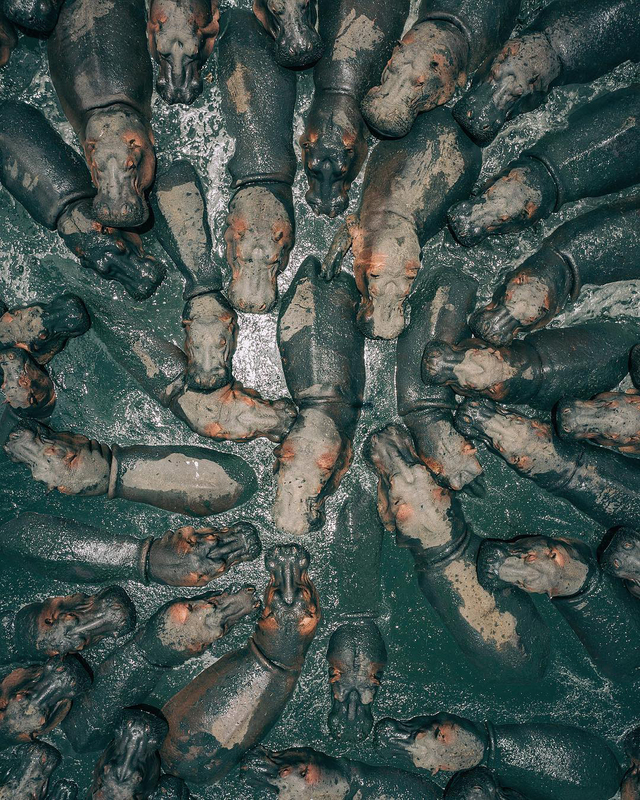 Check out this incredible image we found on @fromwhereidrone, in which a bloat of hippopotamuses take a mud bath in Serengeti National Park, northern Tanzania. A 2001 census found that roughly 20,000 hippos were living in Tanzania, and a new census is being completed this year in an effort to scale up conservation of the animals. 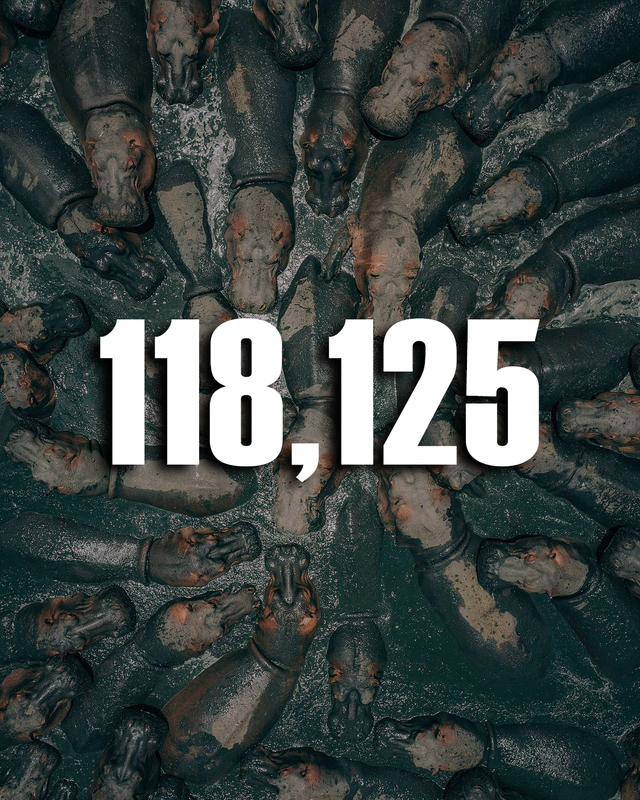 Poachers reportedly target wild hippos for their teeth, which are profitable in Asia — almost 60 tons worth were allegedly exported to Hong Kong between 2004 and 2014.